In the wake of Tuesday’s bombings in Brussels, the U.S. Department of State has issued a travel alert for U.S. citizens traveling in Europe. 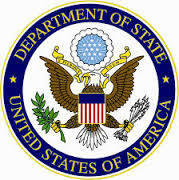 “The State Department alerts U.S. citizens to potential risks of travel to and throughout Europe following several terrorist attacks, including the March 22 attacks in Brussel,” the advisory read. The Travel Alert is in effect through June 20. Responsibility for the attacks was claimed by the terrorist group ISIS. According to the warning, more attacks are a very real possibility. The advisory also recommended that travelers register in the State Department’s Smart Traveler Enrollment Program (STEP). STEP is a free service to allow U.S. citizens and nationals traveling abroad to enroll their trip with the nearest U.S. Embassy or Consulate. STEP provides enrolled travelers with several beneficial services including important information from the Embassy about safety conditions in the traveler’s destination country, helping them make informed decisions about their travel plans. It also aids the U.S. Embassy in contacting the traveler in an emergency, whether natural disaster, civil unrest, or family emergency. Registration in the program can also help family and friends reach the traveler in an emergency. European governments continue to guard against terrorist attacks and conduct raids to disrupt plots, the advisory continued. “We work closely with our allies and will continue to share information with our European partners that will help identify and counter terrorist threats,” the advisory concluded. For the most up-to-date information, travelers should visit the Worldwide Caution page of the State Department’s website.